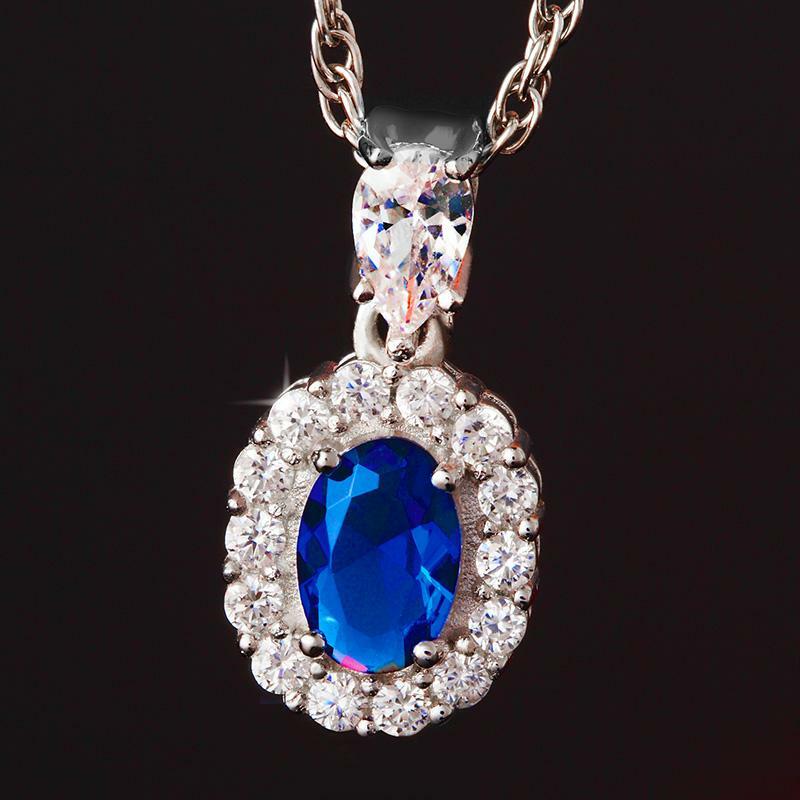 The Blue Hope Pendant is inspired by the $250-million Hope Diamond. Is the Hope Diamond unattainable? Sadly, yes. But we believe that the $250-million look should be available to more than just monarchs and museums, so we’ve created the Blue Hope Pendant—a singular, faultless, blue DiamondAura® stone that more than matches its famous inspiration for color and clarity. Surrounded by 15 white DiamondAura stones with a fire and brilliance to be feared, this pendant is a miniature marvel of science.